Anneke Caramin: Shh, it's Art! Out of all the challenges we got, I was really looking forward to this one. We were supposed to create an outfit inspired by an artist, and incorporate the artist's aesthetic into our own style. The hardest part was choosing an inspiration! I decided to go for Egon Schiele because he has always been a firm favourite and his work gave me an idea! I made the sleeveless version so it would be summer appropriate and didn't make any pattern changes (the Hawthorn fits me straight out of the envelope!). It would have been really easy to make this dress nsfw, but I chose to make my own interpretation instead of just copying a drawing. I embroidered several hands all around the hem and used three different fabric paints to add a painted border. 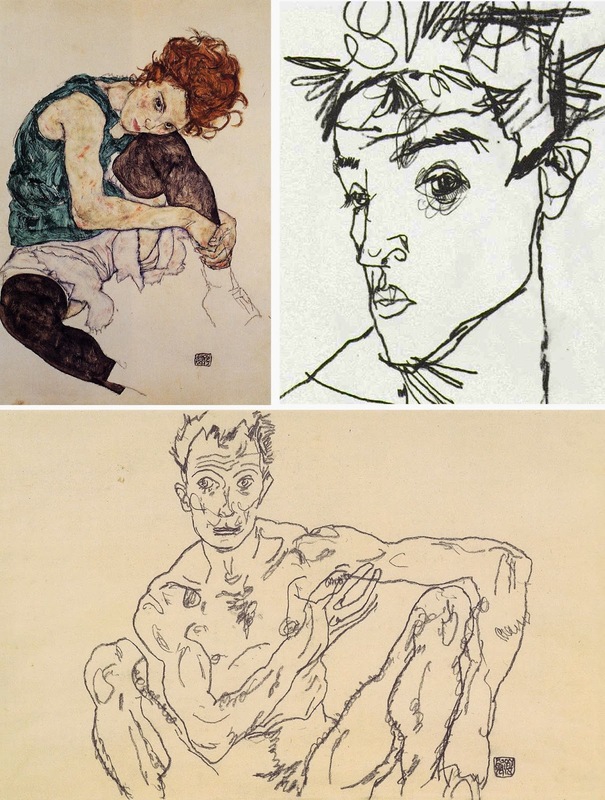 The colour is pretty similar to some of Schiele's paintings, even though it doesn't really show in these pictures! To make the embroidery I basted a water-soluble stabilizer to the skirt parts, drew the hands on and stitched them with the sewing machine. It took a few nights and there were loads of thread ends to get rid of, but it was worth it! The hands aren't that clear from a distance, so the hem looks like it has some stripey border going on. It looks really cool in motion! I also added an eye done in the same technique to the collar, to tie things together a bit. It's subtle, like a little surprise! The buttons were another lovely surprise! I was lucky enough to find them in the store where I work, they are almost the exact shade of green in the top of the 'Seated Woman with Bent Knee'. It adds a tiny bit of colour to the dress, just enough! NOW FOR THE SPAMMY PART WHERE I BEG FOR VOTES! As you know, I made this for a competition! 50% of the scores are determined by votes from the public, so if you like what I made, could you please take a minute to cast your vote? Just go HERE, at the bottom of the post there's a poll. All you have to do is click my name! I'm having loads of fun with this competition, so it would be great if I could stay in! Sew it Up: Cast your Votes!